The global rate at which PC software was installed without proper licensing rose from 42 percent in 2011 to 43 percent in 2013 as emerging economies where unlicensed software use is most prevalent continued to account for a growing majority of all PCs in service. The commercial value of unlicensed PC software installations totaled $62.7 billion globally in 2013. These trends are sure to put a dent into any ISVs bottom line. In their blueprint for reducing software piracy, the BSA points to increased public education and awareness, modernization of IP laws, and stepped-up enforcement with dedicated resources as important steps towards thwarting piracy. Of course, a more immediate approach to preventing piracy is to integrate copy protection directly into the application with a robust software protection solution like Wibu-Systems’ CodeMeter. It takes just minutes to protect software from illegal copying, reverse engineering or tampering without having to change a single line of source code. In addition to preventing software piracy and hacking, a sound monetization strategy will serve to maximize ISV revenues as well. With secure, flexible licensing capabilities, ISVs and device manufacturers can effectively implement creative licensing strategies to meet the dynamic market requirements of their end users. 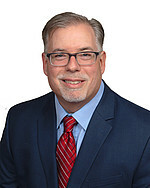 The days of the perpetual software license are long gone and ISVs need the ability to introduce various pricing schemes based on pay-per-function, pay-per-use, subscription, or other possible licensing options. A representative example of a flexible licensing system is CodeMeter License Central, which enables ISVs to create, manage and distribute all types of licenses in a secure, straightforward manner. 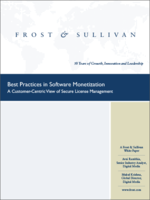 I invite you to download the full whitepaper, entitled Best Practices in Software Monetization: A Customer-Centric View of Secure License Management. The White Paper sheds light on various aspects of successful software monetization strategies, ranging from business-enabling licensing architectures to resilience against hacking. The document demonstrates how changing times demand that ISVs implement customer-centric business models and customer-friendly enforcement in order to increase their top line software revenues while controlling bottom line costs.